Posted November 27th, 2013 by David Porter & filed under General, Hot Topics, Social. That old cement of life the algorithm is in the frame for busting one of the web’s strongest security systems. CAPTCHAs are those often curly, sometimes near incomprehensible squibbled letters that you have to type into a box on a WordPress comment, a PayPal account or any email account on Google and some business sites. Why? Just to prove you are a human being and not a web bot. But now an algorithm has been created to crack the CAPTCHA and everybody is now frantically scrabbling around for a new web security. Their site says they are ‘developing machine learning software based on the computational principles of the human brain. Our first technology is a visual perception system that interprets the contents of photographs and videos in a manner similar to humans. Powering this technology is a new computational paradigm we call the Recursive Cortical Network’. But Science on Wired magazine (October 2013) in reporting it, raised a second front in response. John Bohannon wrote, ‘this might be a major breakthrough in computer science. Creating machines that can see the world and make sense of images as humans do is one of the hard problems in artificial intelligence. Breaking CAPTCHA is a milestone on that road—if Vicarious has pulled it off. Bohannon argued that ‘it depends how they broke CAPTCHA’. Previous break attempts have simply removed dots and then ‘looked for recognisable letters.’ This approach is known as ‘brittle solutions’ and when they work, the captcha can simply be tweaked further. The actual proof that they have done it is not yet forthcoming. Of course nobody wants them to show how until an alternative defence is in place. So until then, it’s a matter of trust and hope. Trust and hope that other defences will be forthcoming for all our sakes. Few people know that they are in reality ‘Completely Automated Public Turing Tests to Tell Computers and Humans Apart’. They allow the blocking of automated interaction with sites that use them. Captcha Official site which can give you a free one for your own site, if you want one. It can be known as a Turing test. There is also a Reverse Turing Test. A traditional Turing has a human judge and a computer subject which attempts to appear human. Critical to the concept is the parallel situation of a human judge and a human subject, who also attempts to appear human. The purpose of the test is for the judge to attempt to distinguish which of these two situations is actually occurring. 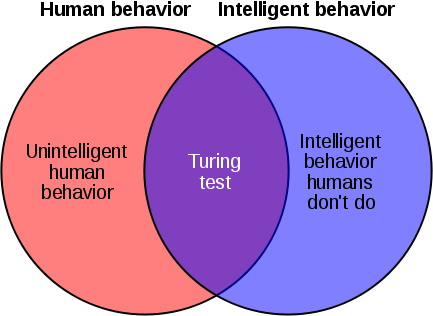 It is presumed that a human subject will always be judged human, and a computer is then said to “pass the Turing test” if it too is judged human. Any of these roles may be changed to form a “reverse Turing test”. Turing? Alan Turing, the man credited with the concept of the philosophy of artificial intelligence. we covered something of his life and the personal difficulties he had back on 24 January 2012, Belated Stamp of Approval. According to Wikipedia (not our usual source in MBF Blogs) Turing introduced his test in his 1950 paper Computing Machinery and Intelligence: “I propose to consider the question, ‘Can machines think? '” Because “thinking” is difficult to define, Turing chooses to “replace the question by another, which is closely related to it and is expressed in relatively unambiguous words.” Turing’s new question is: “Are there imaginable digital computers which would do well in the imitation game?” This question, Turing believed, is one that can actually be answered. In the remainder of the paper, he argued against all the major objections to the proposition that “machines can think”. In the years since 1950, the test has proven to be both highly influential and widely criticized.